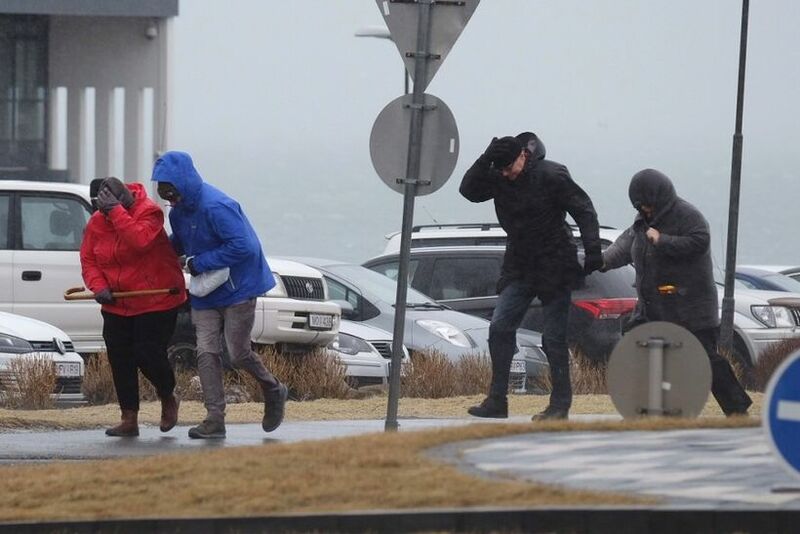 It's been unusually windy in Reykjavik this afternoon and early evening, even compared to this storm-filled February. 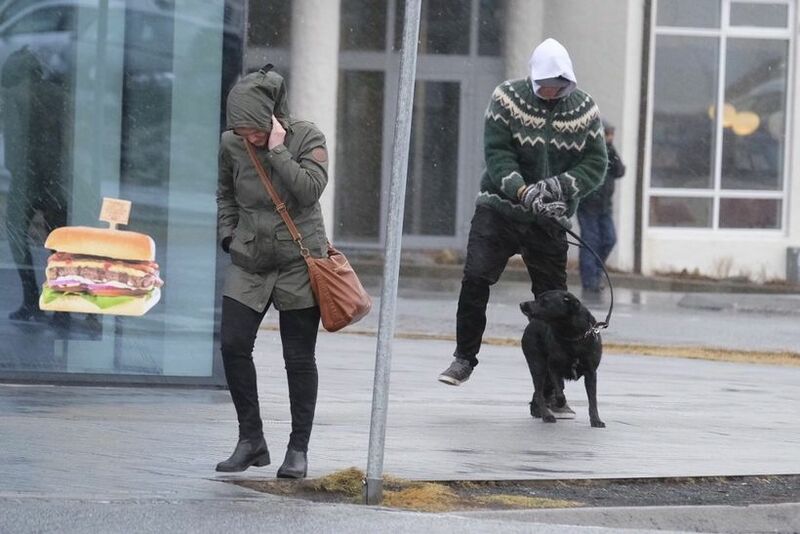 A Morgunblaðið photographer captured this image of people at Höfðatorg in central Reykjavik barely able to run. 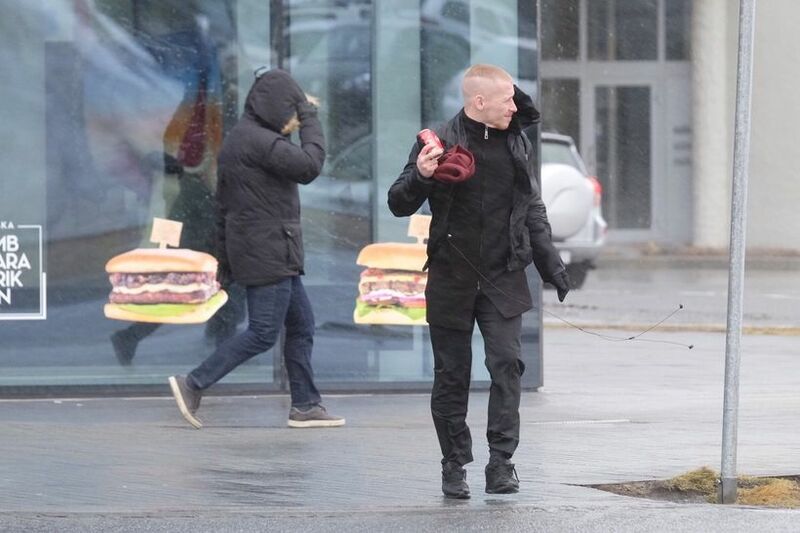 The storm is expected to rage all around Iceland tonight with heavy rain. 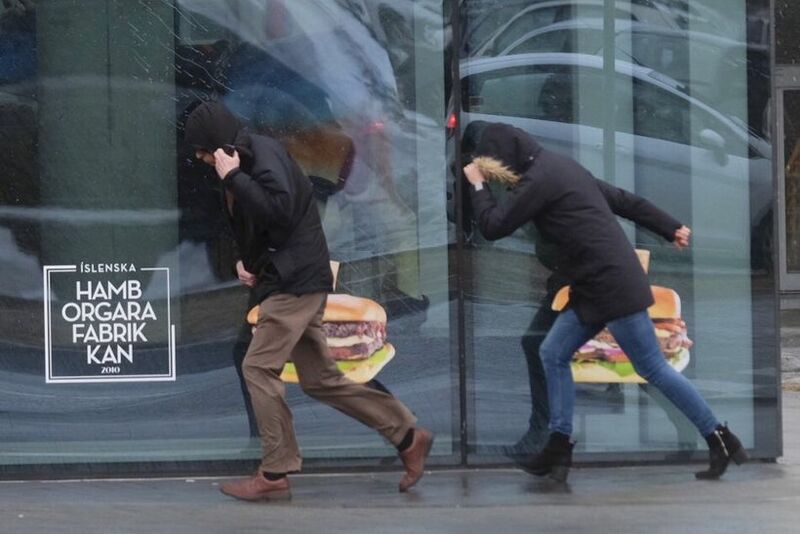 Temperatures will rise up to 10 degrees Celsius which means a lot of snowmelt.